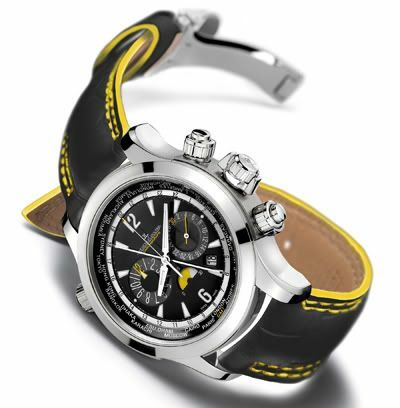 Jaeger-LeCoultre introduces 30 models of this Master Compressor Extreme World Chronograph. 20 watches in titanium & steel combination and 10 watches in titanium & platinum combination. The caseback is ofcourse engraved for this undertaking of Emmanuel Coindre. You can read the full story here and here.